Whether or not you believe in astrology, it’s fun to read about your zodiac and the characteristics that are associated with your sign! As I was thinking about this fascination of my own, I began to wonder what artists shared my sign and whether their artwork aligned with the traits of their zodiac. So I decided to research the birthdays of some of the prominent artists in the DMA Collection to explore the relationship between their zodiac and their art. Tune in every month to find out what artists share your zodiac! Communication is a central element in Mark Rothko’s work. In the late 1940s, Rothko removed figural representations from his work, believing that a universal representation of human drama was better conveyed through large masses of color which for him suggested concrete human emotions. An intellectual thinker, Rothko stated in an interview with Tiger’s Eye magazine in 1949, “The progression of a painter’s work…will be toward clarity; toward elimination of all obstacles between painter and the idea, and between the ideas and the observer.” Rothko’s attention to the reaction of the viewer demonstrates his Libra sensibility for clear thought and observant social prowess. Throughout his career, Alberto Giacometti primarily worked in portraiture. His mature style, as seen in Three Men Walking from 1948-49, was especially popular and hailed as a symbol of the isolation and anonymity of the post-war period. 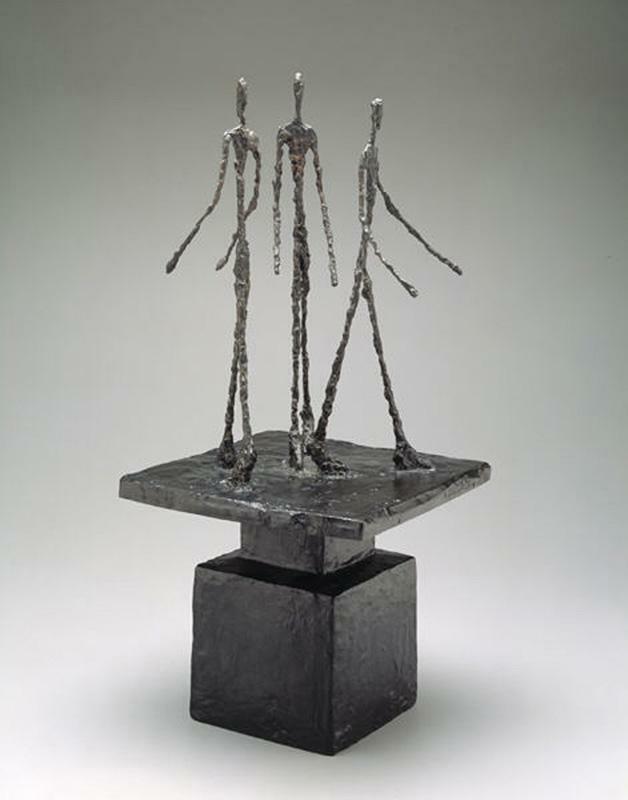 Three Men Walking is demonstrative of Giacometti’s keen ability to observe humanity from an impartial and fully-encompassing perspective. Interestingly, this period also coincided with the renewal of his relationship with his brother and marriage to his long-term domestic partner, Annette Arm, in 1949. Socially active individuals, Libras are said to only achieve peace and satisfaction through loving and supportive relationships. 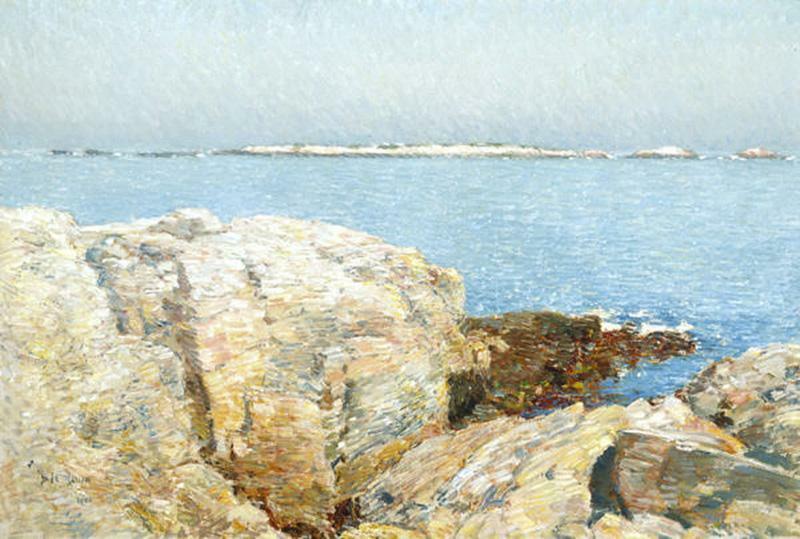 Childe Hassam is typically identified as an American Impressionist. His style features soft brush strokes and an attentive perception of the atmospheric qualities of light and air. In fact, Hassam encouraged this label and considered himself a painter of “light and air” rather than solidly an Impressionist. Paintings, such as Duck Island above, demonstrate his tendency to present his surroundings in a peaceful, harmonious composition. Interestingly, the Duck Island coast, one of the Isles of Shoals near Portsmouth, New Hampshire, was known among sea captains for its treacherous waves and dangerous reefs. Hassam avoids this dark reference in favor of a restful representation of this popular vacation spot. 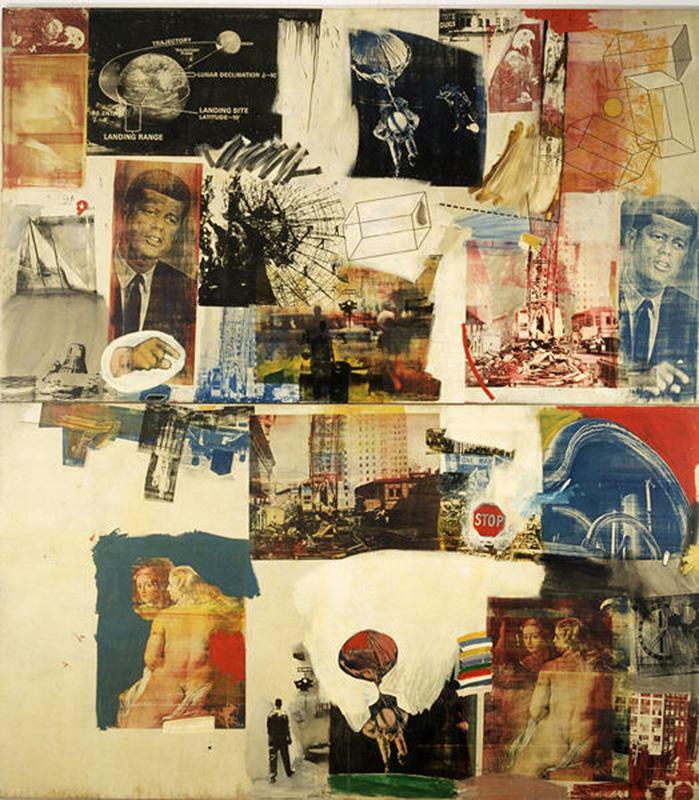 Robert Rauschenberg collected the source material for his silkscreen prints from a variety of sources, including newspapers, Life magazines, personal photographs, and New York Times archives. His attraction to such various sources demonstrates his active engagement in current and past historical events. Having collected his varied materials, Rauschenberg successfully organized his images to present one cohesive, effective image. Produced for the 1964 New York World’s Fair, Skyway is emblematic of the optimism and expansionism of the early 1960s, featuring images of President John F Kennedy, the space race, urban construction, and the American bald eagle. The title is suggestive of the “New Frontier” of American expansion as space became labeled the ‘highway’ of the future. A few other lovable Libras include Jean-Francois Millet (October 4), Frank Duveneck (October 9), Jean Antoine Watteau (October 10), and Maurice Prendergast (October 10). Tune in next month for some of our superb Scorpios!